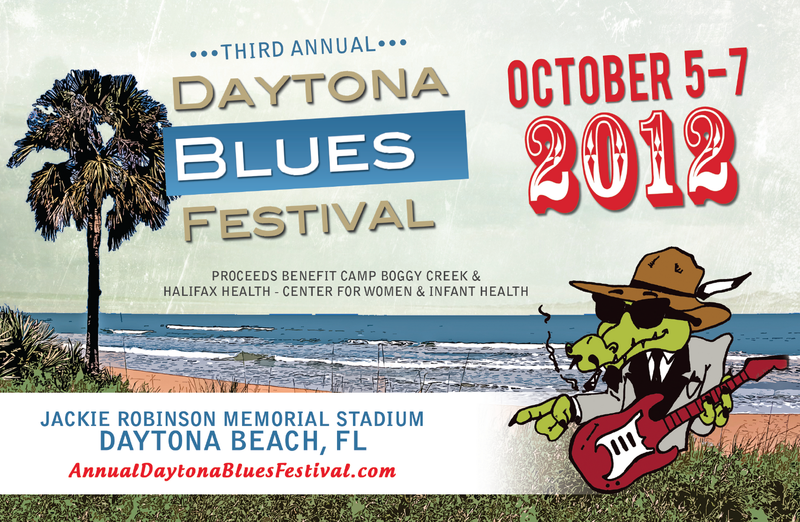 By October, the hottest of the summer weather has passed and it’s a natural time to bring on the blues in Daytona. Nationally acclaimed and up-and-coming blues talent will be playing all weekend at Jackie Robinson Ballpark (105 E. Orange Ave.) in downtown Daytona Beach. From the funky sounds of Victor Wainwright and the WildRoots to the trance blues Otis Taylor, 16 blues acts will entertain blues lovers from all over. Not only is this a great music festival with great acts, but it’s also a good cause. 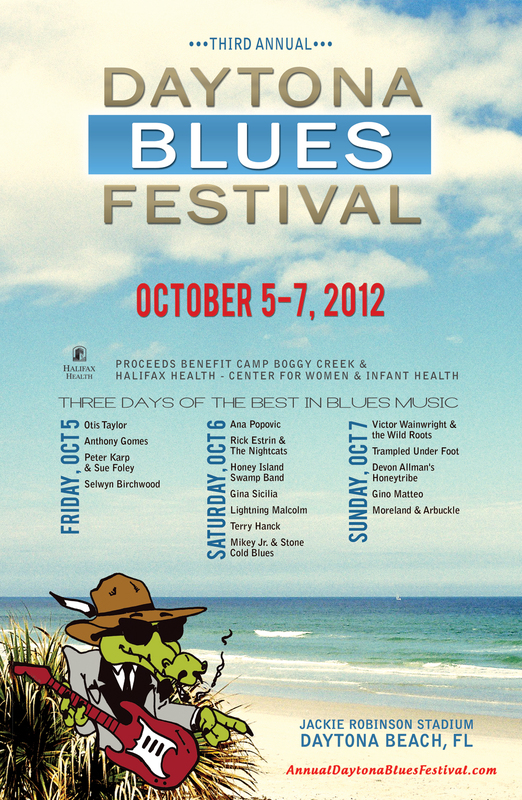 Proceeds benefit women’s and children’s health at Halifax Health. To purchase tickets online and see the full schedule of performers, please visit AnnualDaytonaBluesFestival.com. Visit annualdaytonabluesfestival.com for more info. Posted on October 3, 2012, in Life In The Fab Lane and tagged Blues Festival, Daytona Beach, Florida, mile marker, road trip, travel, vacation. Bookmark the permalink. 1 Comment.